During the day the fishing boats are all out in the sea, searching for their daily catch. When the night falls they return back home to get some rest and prepare for the next day. All the hubris of the day dies down, and the quiet night settles in. 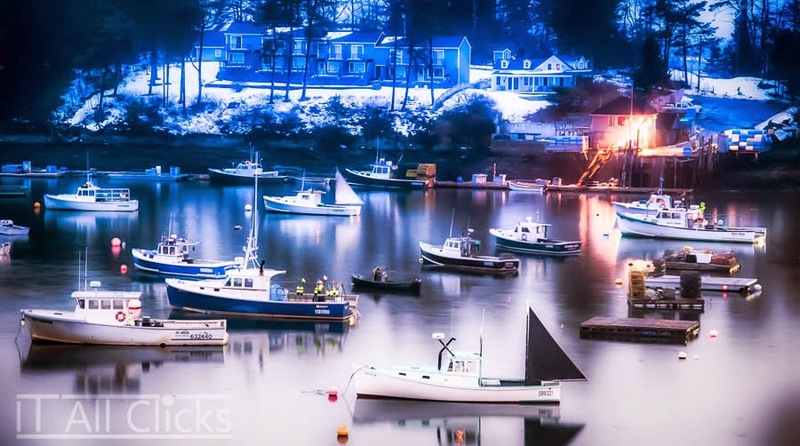 These are mainly lobster boats in Harpswell, Maine.